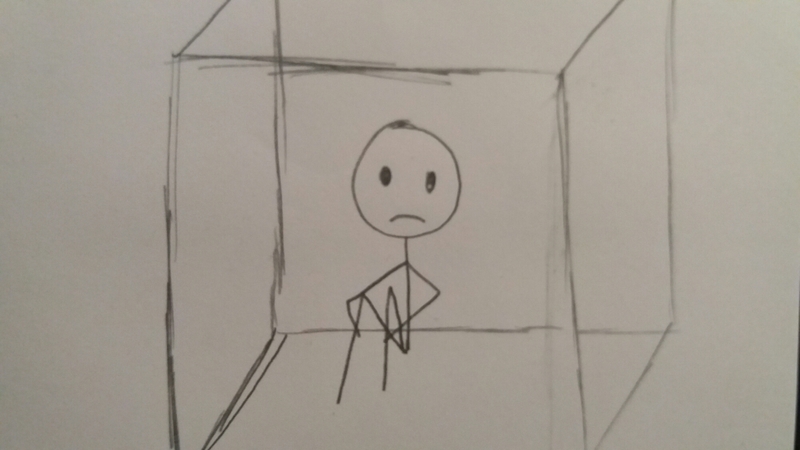 I’ve been looking back on my life recently (I know, bad thing to do) and I’ve come to realise… I’ve spent my life living in a box. Not an actual box obviously but a metaphorical one. For years I thought I would grow up to be an actress but then something changed, my heart wasn’t in it anymore and I realised the main reason I wanted to be an actress was because I felt it was the only thing I had going for me, the only thing about me people appreciated. I also had people all through my life (teachers, peers and my parents) telling me that I SHOULD do drama at GCSE, that I SHOULD be on stage, that I SHOULD go to drama school. I know I’m a talented actress, hell, pretty much everyday I would act like everything was fine and people believed me but that doesn’t mean I HAVE to be an actress. In my second year of college I felt that acting just wasn’t my thing anymore, I didn’t need it. For a long time I used acting as an escape from myself but now I wanted to be myself, I was sick of pretending. It was at this point that I felt I was being pushed down the acting route by so many people that in the end I started pushing back. I’d been living in a box; obeying people’s orders, listening to hurtful things and not standing up for what I believe in. The box was created by me and it was made of people’s insults, my acting talent and fear of disapproval. All of these things trapping me in a “comfort zone” although it was never very comfortable, the box prevented me from exploring my other talents and myself as a person. It wasn’t until I started straying away from the acting route and “lifting the lid on the box” that I realised how trapped I was. I’d discovered more interests such as gaming, photography, art and writing. All of which I could pursue with the time I had once I’d left college. I have felt lost since leaving my life box as I’d been so focused on what others were saying and telling me to do that I had no idea who I am. Small steps… You’ll get there. “I’ve been looking back on my life recently (I know, bad thing to do)”. It’s not a bad thing at all. We all need to do this from time to time. There’s a difference between living in the past, and looking back to discover/uncover new truths and see how we’ve grown or remained stuck.